Gerda Lerner, one of my historian heroes, died today. I first became acquainted with her work during a women’s history class at Hendrix College. It was a wonderful, wonderful class, where we had thoughtful discussions and read some really great stuff. During that class, I realized I had always been interested in women’s history, but had never really thought about it as separate from other kinds of history. It opened my eyes to how much traditional history leaves out. In grad school, I encountered her again during a historiography (history of history) class. That conversation remains one of the most alarming I’ve ever had about history. One African American man stated that he thought women’s history segmented history too much. I remember him saying something like “What’s next? Books about women and jello? Women with fat lips and women with thin lips?” Two females agreed with each other that the only reason why a woman’s biography would need to be written would be to describe how she had supported her famous husband. A few of us ended up doing this tag-team, arguing thing as we desperately tried to convince these classmates that women’s history had value. It was awful. Around this same time, a friend and I learned about a monthly gathering for female historians (grad students and professors) at area universities. We were at NC State, and the group also included folks from Duke and UNC. Julie and I made the trek to a professor’s house in Chapel Hill one evening. We both kinda wondered if we would meet anyone “famous”–after all, there are a lot of well-known historians at both Duke and UNC. We mingled, desperately clutching a glass of wine, before the “official” part of the evening. Julie and I didn’t really talk to anyone, because we didn’t know a soul. The topic that night was the different stages of grad school life, so at one point, we all sat down in a circle to start the conversation. The leader asked us to introduce ourselves, tell where we went to undergrad, what we were studying now, and the biggest difference between the two. Julie and I were some of the first to speak. I said something lame about campus size. And then, an older woman spoke “I’m Gerda Lerner, and I went to the New School. . .” Julie and I looked at each other out of the corner of our eyes and tried to look cool. What followed was one of the most amazing discussions I’ve ever been a part of. Gerda would get on soapboxes, talking about the inherent patriarchy of the university system and her experiences as the only one doing her kind of work. I tried to soak up every single word, but it’s been over 10 years now, and the memories are fuzzy. After the discussion was over, Julie and I got up and started making our way to leave. Gerda stopped us, reintroduced herself and asked her what we were studying. I said “Oh, just public history at NC State.” And she said “Oh, good! You’ll actually be able to find a job!” and patted me on the shoulder. Julie and I looked at each other in complete shock. Once we finally left the house, I’m not too ashamed to admit there may have been some extremely nerdy screaming on both our parts. Not only had we met one of the greatest living historians, it had been in a very casual, completely unexpected way. That picture changed rapidly, in large part because of her efforts while teaching at Sarah Lawrence College in the early 1970s. In creating a graduate program there, Ms. Lerner set about trying to establish women’s history as an academic discipline and to raising the status of women in the historical profession. 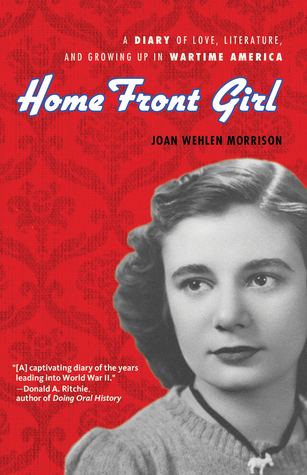 She also began gathering and publishing the primary source material — diaries, letters, speeches and so on — that would allow historians to reconstruct the lives of women. Only once, in that hideous grad school class, have I ever had to fight to prove the value of my work. And really, up until that class, it was something I hadn’t realized needed defending. I’ve always been curious about women’s everyday lives in the past, as well as their more famous sisters. I’m sure part of this is simply because I’m a girl. But I think a bigger part is because of what I grew up reading. As you probably already know, my favorite books are about strong female characters, and those characters were almost exclusively created by female authors. These strong women, these fictional characters soaked into my bones and became a part of who I am. So, when I began my study of history, I came into it with some very different ideas about what was important and what I wanted to study than some other folks. After growing up with the characters of L. M. Montgomery, I was surprised to learn how rare higher education for women was in the late 19th century. On the other hand, after growing up with Laura, Mary and Ma, I wasn’t a bit surprised to learn how crucial women were in the settlement of the frontier. The March sisters displayed a range of ways women could make their own lives–from motherhood to working to art to philanthropy. 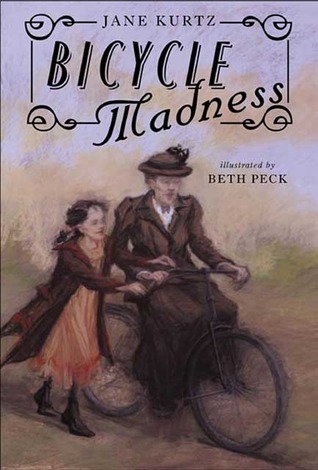 These thoughts all played into my head, as I dived into women’s history and social history and kept coming up with random ways in which these beloved children’s books connected with the history texts I was reading. So tonight, I’m thinking about Gerda Lerner and the ways her work has shaped my life and passions. It’s hard, sometimes, to remember how recently the idea that women’s history looks a bit different from traditional history emerged. I like to think that eventually, someone else would have pointed out the obvious, but I’m so glad it was her–and that we didn’t have to wait any longer. Many moons ago (11 years ago, to be exact. Good lord, how time flies! ), I was an intern at the Women’s Museum. Part of my job was to process the many, many loans–it’s a non-collecting institution so every artifact on display had to come from somewhere else. I have many, many stories about that summer and the artifacts I got to care for (with white gloves, of course), including Edith Head’s Oscar and Eleanor Roosevelt’s knitting needles. But I was already interested in movie history and Eleanor Roosevelt was already on my top 10 list of favorite historical people. One artifact, though, sparked a new interest: a parachute. It was in almost backpack form, and it was heavy. It was worn by a WASP (Women Airforce Service Pilots), and I tried to put my brain around carrying a load like that. It was hard to imagine. Though I’ve never done much research on the WASP, whenever I see mention of it, a little bell goes off in my head. The main archives for the WASP program are held at Texas Women’s University(http://www.twu.edu/library/wasp.asp), which is located about an hour north of Dallas. 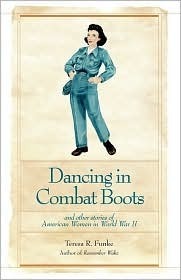 I’ve been to that archives a few times, researching various things relating to women and war. They have a permanent exhibit relating to the WASP and have an extensive oral history collection. It’s all very, very amazing. 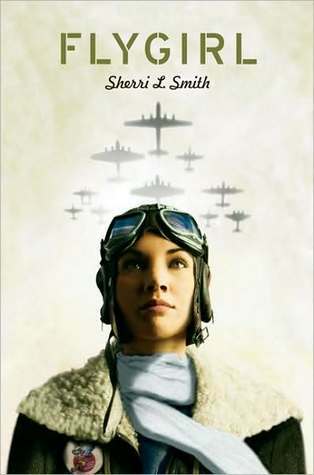 So, I was happy to hear about Sherri Smith’s Flygirl and even happier to see that it was getting rave reviews. It’s one of those stories that should be better known. The WASP story is a great one–flying seems so “easy” now–we forget how daring those early pilots were. And then, I discovered that the main character, Ida Mae Jones, was African American and decided to pass as white in order to serve her country. Sherri Smith tells us in the afterword that there’s no evidence that anyone like Ida Mae served as a WASP. But here’s the thing: this story could have been told just as easily with a white woman as the main character. And it still would have been a good story. Making Ida Mae African American adds wonderful layers of complexity and opens up all sorts of room for big ideas. What is race? Could you deny your identity for something you believe in? Does Ida Mae have a place in the post-war America? I admit that my list so far of kidlit history is dominated by white protagonists. And history in general, especially public history, is still dominated by a white narrative. I could go into some of the many, many reasons public history is both ahead and behind of broadening that narrative, but this isn’t the place to do that. Suffice it to say that a big part of the reason I love this book is that it takes a story that doesn’t have to be about race and makes it about race. We know non-white women served. Here’s some brief biographical information on Hazel Ah Ying (http://www.twu.edu/library/wasp/wasppdf/Lee.pdf) and Maggie Gee (http://www.twu.edu/library/wasp/wasppdf/GeeM.pdf), two Asian pilots that served. Smith had the courage to ask the question: “What if?” and answered it with her novel. Smith also had the courage to end Ida Mae’s story with a big question mark. There’s no real place for Ida Mae after the war and whatever she chooses, she’ll have to deny a big part of herself. There are no easy answers for her. It’s powerful stuff to think about.